One of the major stories in Portugal over the summer that was overshadowed by coverage of the World Cup, transfer rumours, presidential elections and incriminating emails was the split that happened to one of the country’s most historical clubs, Os Belenenses. Both Belenenses teams played this Sunday and in both games there were stark differences between the two that go beyond what happened on the pitch. To put Belenenses summer split simply, the Belenenses SAD division (a private company, more on that later) broke off from its parent sports club. This meant the Primeira Liga club was now no longer associated with CF Os Belenenses and thus CF Os Belenenses no longer had a professional football team. Now there are two Belenenses clubs, the new Os Belenenses Futebol SAD and the historical CF Os Belenenses. The former is the one that plays in the Primeira Liga, currently at the Estádio Nacional based in the Jamor sports complex, Oeiras. The latter is still at home at the famous Estádio do Restelo in Belém but now plays in Lisbon’s Segunda Divisão, which in actuality is the 4th tier of the Lisbon regional leagues, meaning that the club will need 7 promotions to play in the Primeira Liga. So what exactly happened this summer? Even many Belenenses fans aren’t entirely clear on the details such is the messy nature of the separation. Perhaps the easiest way to explain it is as a divorce; the SAD got the financial strength, first team and the Primeira Liga spot whilst the club got the badge, the history, the stadium, and the majority of the fan support. Back to those SADs mentioned earlier. 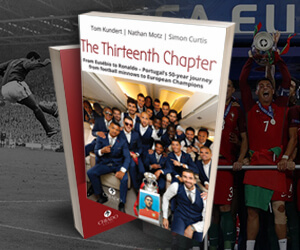 Time for a brief explanation for those who don’t know this particular aspect of Portuguese football regulation (regulation being a national pastime in Portugal). A “SAD” (Sociedade Anónima Desportiva or Anonymous Sports Society) is a privately held company that by law clubs must have as a way of maintaining equity and increasing transparency. SADs have to publish their financial reports publicly which can at times make for interesting reading. In general, it is private businesses who finance the football teams with investments through the SAD companies. At the end of June the SAD of Belenenses and its parent club parted ways. 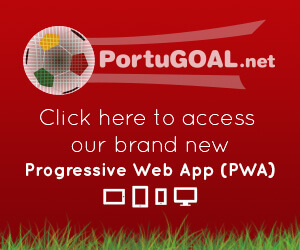 There had been animosity between the two entities for a long time and there was no love lost between SAD President Rui Pedro Soares and Club President Patrick Morais de Carvalho. Accusations flew between both entities, most from the SAD to the club; claims of breaches of contract, money owed apparently by the club to the SAD, and other smaller and petty but no less vigorous disagreements. Interestingly, both teams played this past Sunday. Belenenses SAD hosted Braga, who were looking to go top of the Primeira Liga with a win, whereas Os Belenenses were playing their first league game of the season, hosting Olivais e Moscavide, a tiny club located close to (as their shirt sponsor suggests) Parque das Naçoes in the east of Lisbon. At the Restelo this past Sunday for this bottom tier game the fans who stuck with the club even at this low point were rewarded by a fantastic home performance. Before the game, Belenenses’ ultra group Fúria Azul (Blue Fury) produced a huge banner with the message “a nossa paixão não tem divisão”, a poignant message that translates to “our passion has no division”. The Belenenses ultras and fans created an impressive atmosphere for a relatively empty Restelo with constant singing, flags, banners and blue flares. The team on display was one hastily assembled in just over a month by Belenenses’ new director of football and former player, José Taira (pictured, right). Many of the players were former Belenenses youth players as Taira made it an aim to recruit players who consider playing in the blue shirt a privilege. Others, such as the impressive Cape Verdean left-back Jorginho, dropped divisions to play for such a famous club and looked a considerable class above their opponents on the day. Club president Patrick Morais de Carvalho said back in July of the team’s quality that, “we are in a district division, but we are not a district team.” The evidence was clear for all to see on the pitch. Belenenses opened the scoring early through Ricardo Viegas, a player who had played for the club previously whilst they were in the Segunda Liga back in the 2011-2012 season. Viegas would eventually go on to grab a hat-trick with right-back Evandro Barros getting the other goal. The 4-0 scoreline spared Olivais e Moscavide what could have been an embarrassing defeat. In the second half there were at least three huge chances that somehow didn’t end up in the back of the net. On the basis of this performance alone it seems like the president was right about his team’s ability. They certainly were leaps and bounds ahead of the opposition. It may well be they can carry this young squad with minimal reinforcements to the Campeonato Nacional (third tier) before they find too much difficulty. 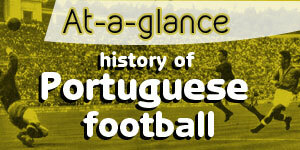 Later that day, a 10-minute drive away from Belém, at the Estádio Nacional, Belenenses SAD hosted the impressive Braga. Much like at the Restelo there were plenty of empty seats in the stadium, despite the Oeiras local government giving away free tickets to the games to their employees. At the Estádio Nacional, a much bigger stadium, the empty seats are even more obvious. This is a 30,000 capacity stadium whereas the Restelo holds around 20,000. Perhaps more significant than the low stadium attendance was that the noisy Belenenses ultras from earlier in the day in Belém were nowhere to be found here, their allegiance was made clear. Instead there was little sound from the Belenenses fans but constant singing could be heard from Braga’s travelling support. It was a cool clear evening in Lisbon but it will be interesting as to what level the attendance drops when the rains return at a stadium with no roof. For some fans though, this is their Belenenses of choice, with the view that this is their “team” that they have supported through the years as if a separate entity from the “club” of Belenenses. When you have seen your team through their ups and downs it must be difficult to have to start again at the bottom and abandon the coach and players you were cheering on just months ago. Belenenses SAD looked promising in the early part of the game but once Wilson Eduardo opened the scoring Braga were comfortably in control. Belenenses would have had stood more of a chance if goalkeeper Muriel Becker hadn’t had an absolute nightmare match. He was at fault for the first goal, gave away the ball for the second and conceded a clumsy penalty in the second half for the third, that made life even more difficult for the home team. Coach Silas (pictured, left), though, was not ready to blame the Brazilian stopper, who is the brother of Liverpool goalkeeper Alisson Becker. “Muriel has saved us plenty of times in the past. In the next match it will be Muriel plus 10 others,” said Silas. Fans who have been to the Estádio Nacional have yet to see a home win in the league this season, although there was an unfortunate late defeat to Porto that could have given Silas’ side an important point back in August. Based on this performance it could yet be a difficult season for this Belenenses side whilst it’s lower ranked neighbours will be enjoying victory after victory all season long and the novelty of traditional Sunday 3pm kick-offs every week. It could have all been so different had internal politics not got in the way. Who knows whether with new presidents and new thinking the two clubs may find reconciliation and a solution in the future but right now that looks unlikely. What may be more probable is a tasty and bizarre new derby between the two clubs in the future. This is fascinating and madness! Dividing an already small fanbase is not good. Belenenses usually plays to small crowds made even smaller by that massive stadium they play in. Regardless this is crazy! Belenenses is always blue with the awesome cross on their chest, I have a hard time seeing any other Belenenses personally so I would go with the ultras as well.